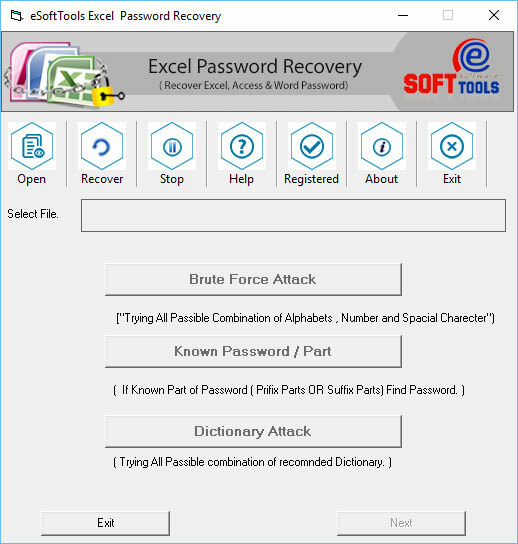 Through eSoftTools advanced MS Excel file password recovery software anyone can easily crack lost or forgotten Excel file password security. With the use of this application effortlessly unlock XLSX or XLS file password. This is best tool for all Windows users can it works on all Excel versions upto 2016. MS Excel password recovery program available at eSoftTools makes easy to crack lost or forgotten password from Excel, Word and Access file. The tool works on multiple MS Office file as mentioned here and it assuredly remove password without any issue. Download MS Excel password recovery demo to view software efficiency. Purchase licensed key after getting completely satisfaction with available demo.